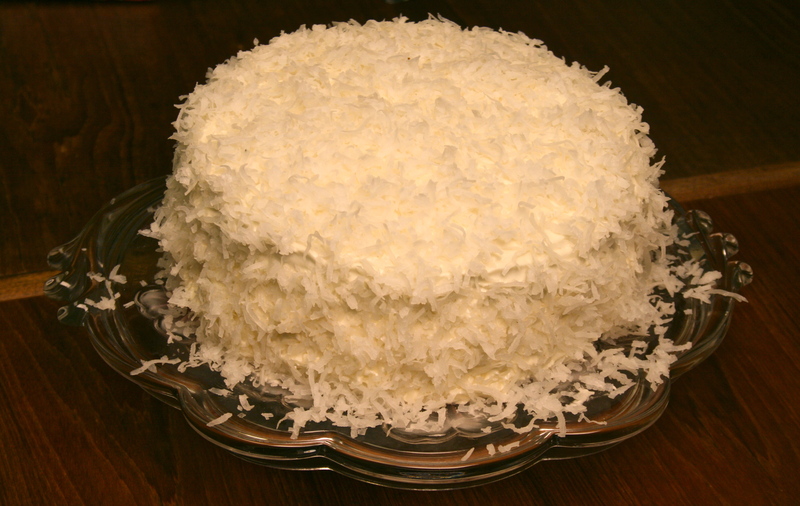 What do I do when my guy asks for a coconut birthday cake? I think winter wonderland. It’s not my fault his birthday falls in December. 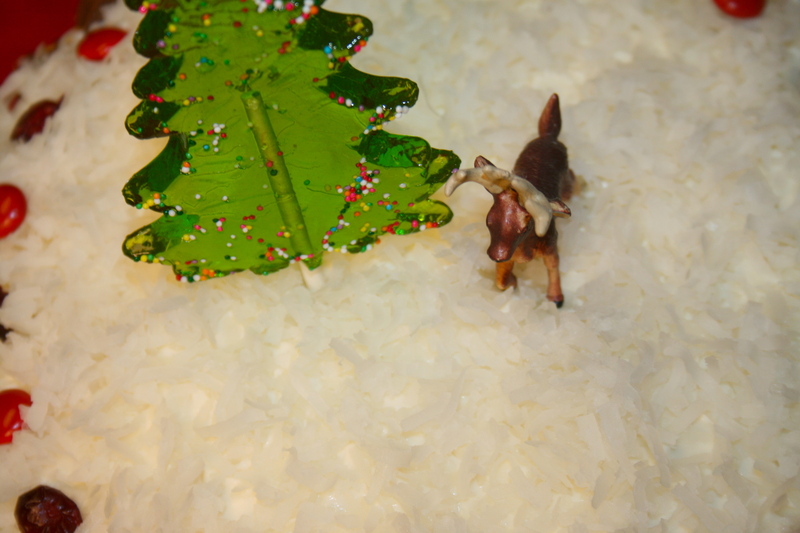 I got to making his cake and instead of going with a traditional decoration I went the holiday route. 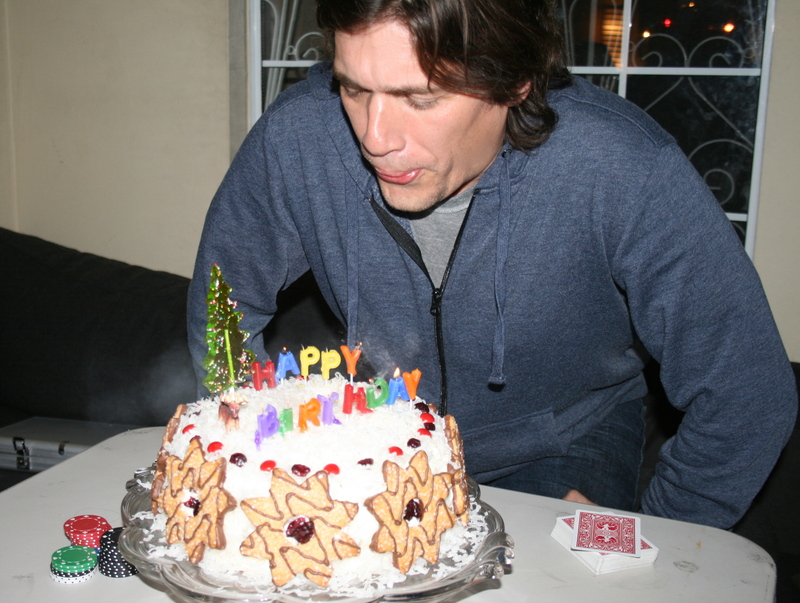 In the end I put some birthday candles so he’d have something to blow out…. He didn’t mind, as long as he got his cake! 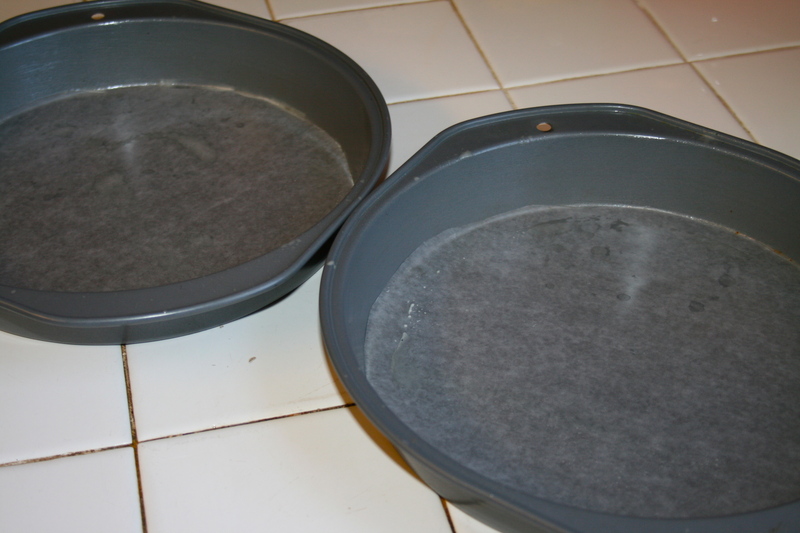 Spray edges of (2) 8-inch round cake pans and place a round piece of wax paper at the bottom of pan for easy removal. Set to the side. 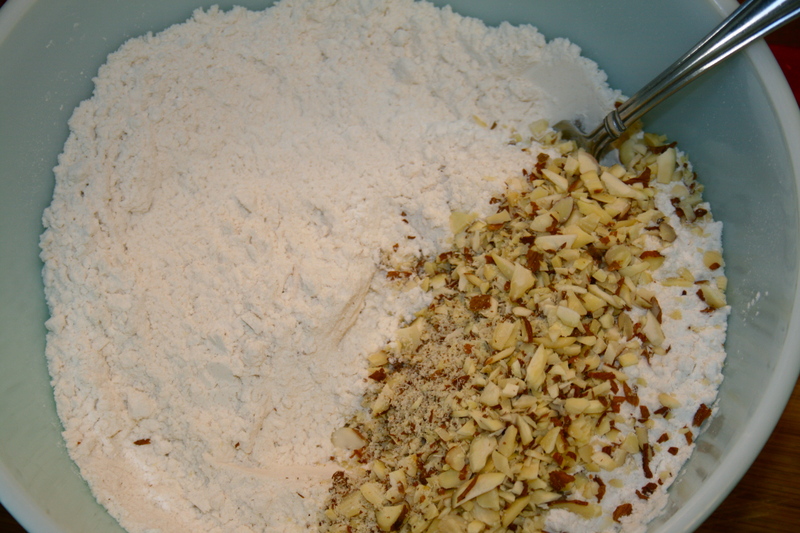 In a small bowl add flour, almonds, baking soda, and salt. Mix with a fork and set to the side. 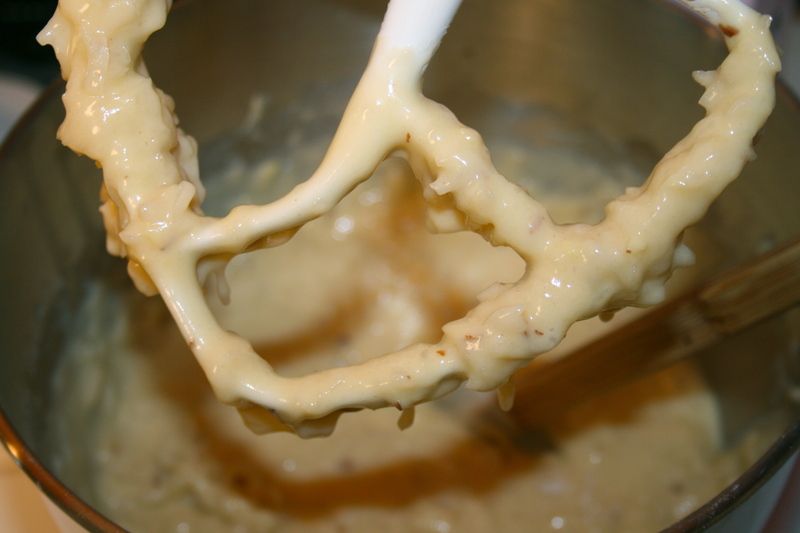 In a mixing bowl add buttermilk, eggs, vegetable oil, almond extract, vanilla extract, and sugar. Mix on low speed to combine for about 2 to 3 minutes. Then slowly add in flour mixture till combined. Fold in coconut. 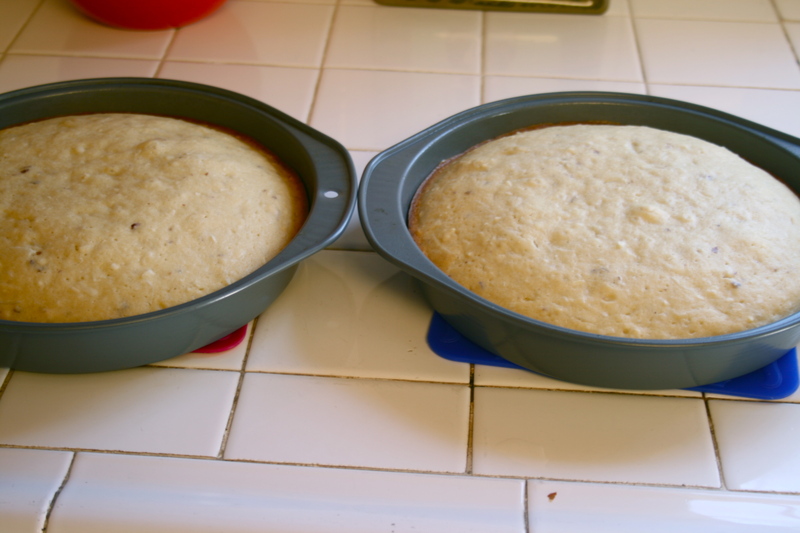 Fill both prepared pans with cake batter, make sure to give each pan the same amount. 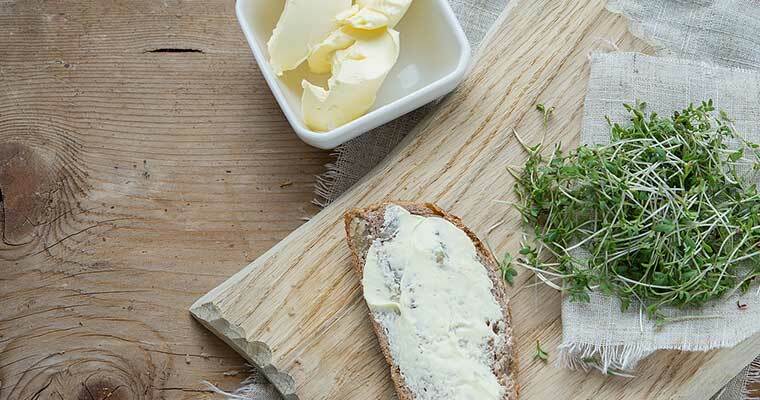 Bake for 30 to 32 minutes or until toothpick inserted comes out clean. 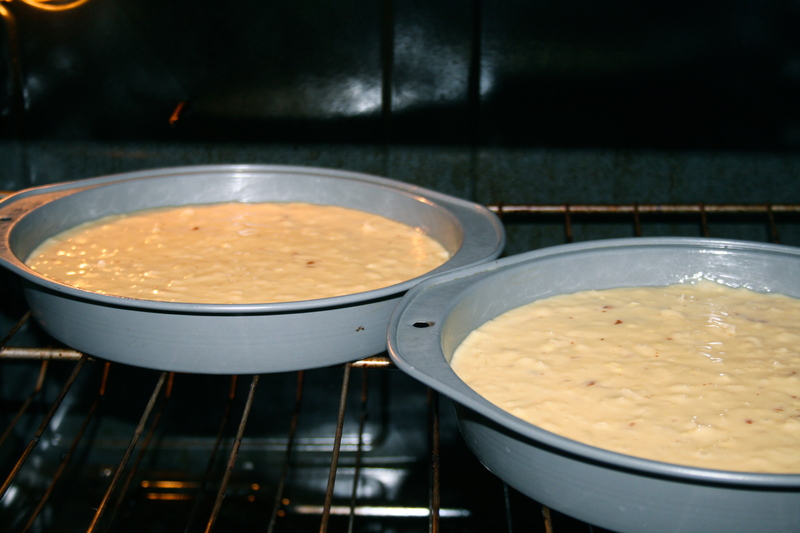 Remove from oven and allow cakes to cool completely. Then remove from pans and remove wax paper bottom. 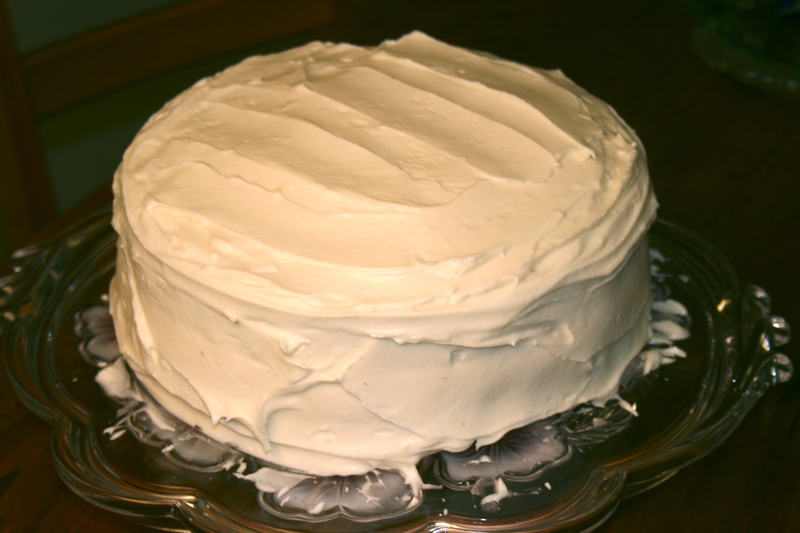 Let’s make frosting: In a large mixing bowl beat cream cheese and butter till smooth for about 2 minutes on a medium high speed. Then add in vanilla and mix for an additional minute. Next add in the powdered sugar a little at a time mixing until completely combined and fluffy. 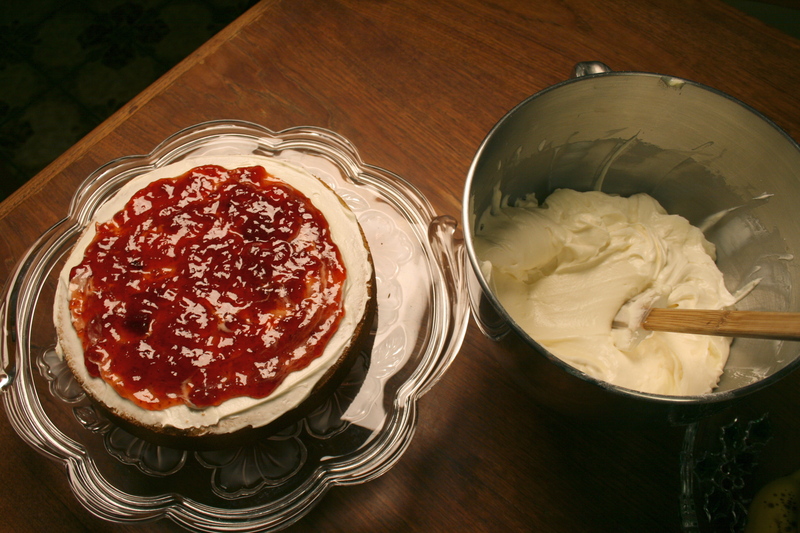 Place one cake upside down on a cake plate and frost with cream cheese frosting, then spread strawberry preserves in the inside leaving a half inch away from the edge. Then top with the other cake. 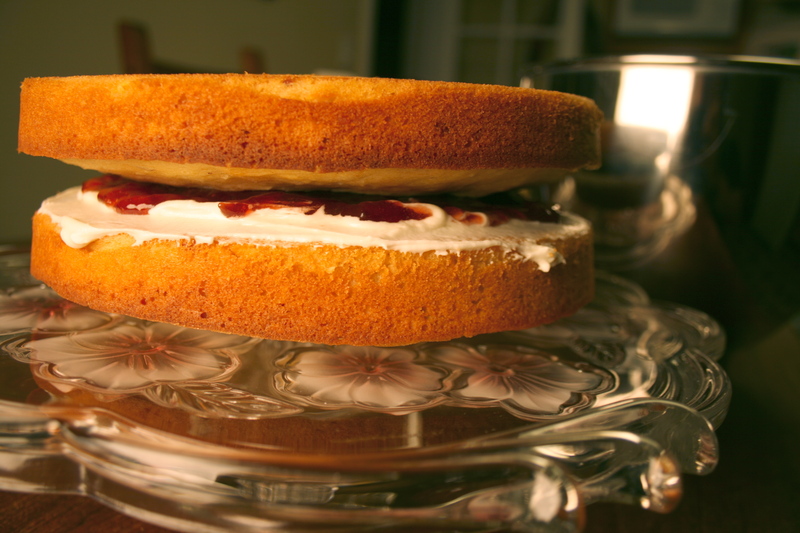 Fill with frosting all around the edges in the open space between both cakes. 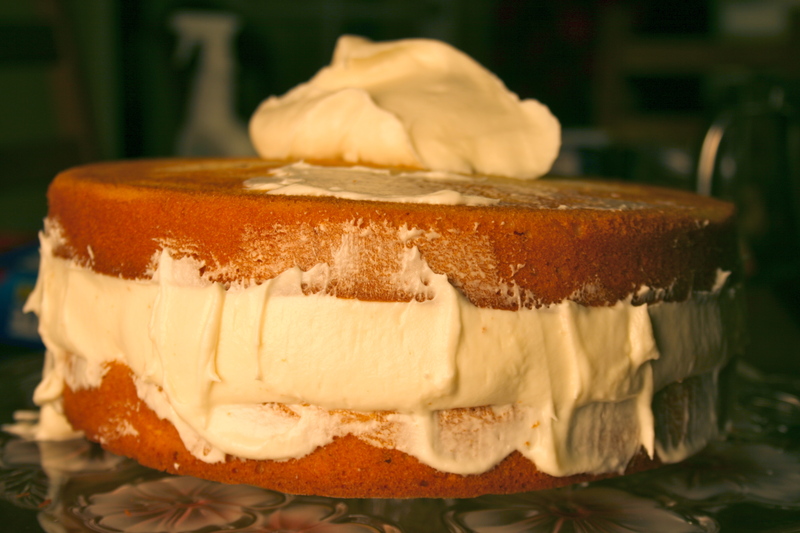 Then frost entire cake. Once completely frosted place coconut on entire cake. 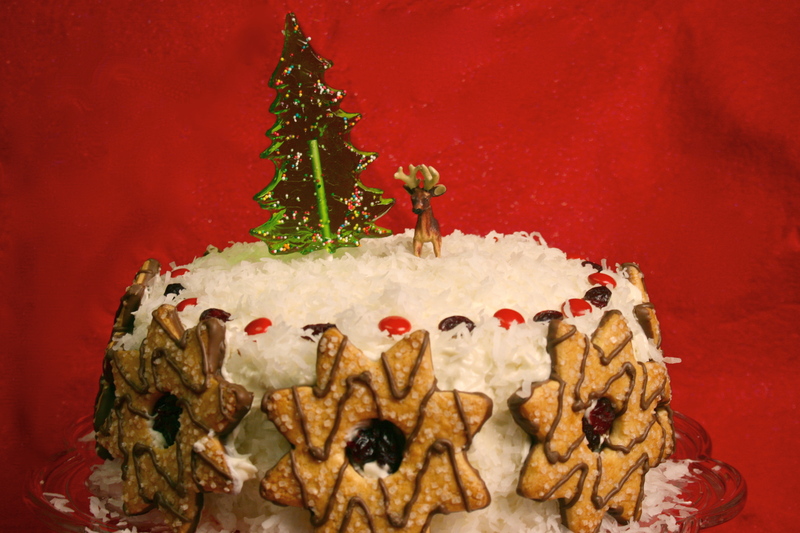 If you wish place holiday cookies around the edge of cake and make a border with red candies and dried cranberries or cherries. Happy Holidays! Or in my man’s case, HAPPY BIRTHDAY! I Heart Mac and Cheese Cups! A little something for Santa Claus…. Cranberry Corn Scones and Milk! That’s a beautiful cake. And I love all the coconut on it! Glad Mando got his cake. Almond and coconut are a perfect combo. Happy Birthday Mando! Glad your wish came true! 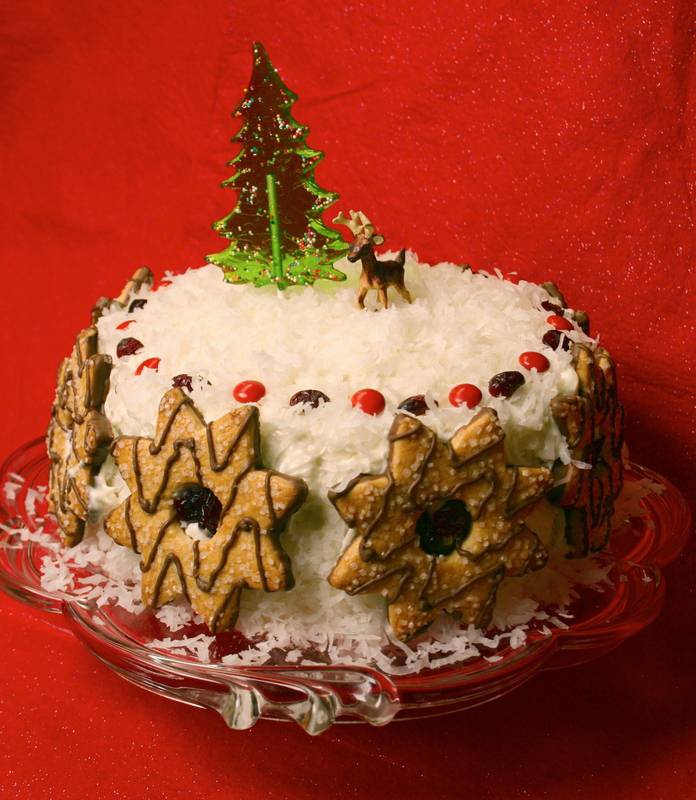 What a beautiful and festive holiday cake! 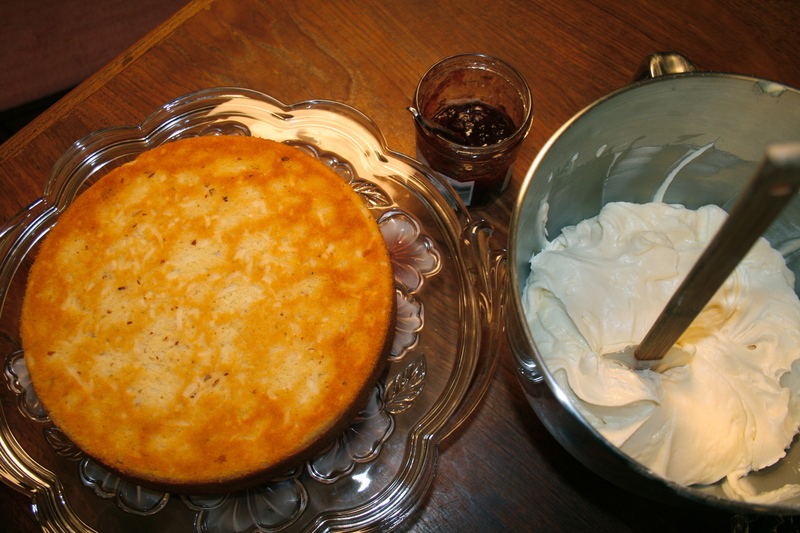 Great dessert to take to a holiday party/potluck or to make for a December birthday. That coconut looks fabulous! I don’t eat much cake but this is something I’d love to try. The best birthday cake EVER !!! an awesome cake for an awesome man, happy birthday to my brother Mando !!! chica! that is one serious coconut cake! those cookies alone are satisfying! happy, happy birthday to the guy! AW! This is so beautiful! This cake looks yummy! 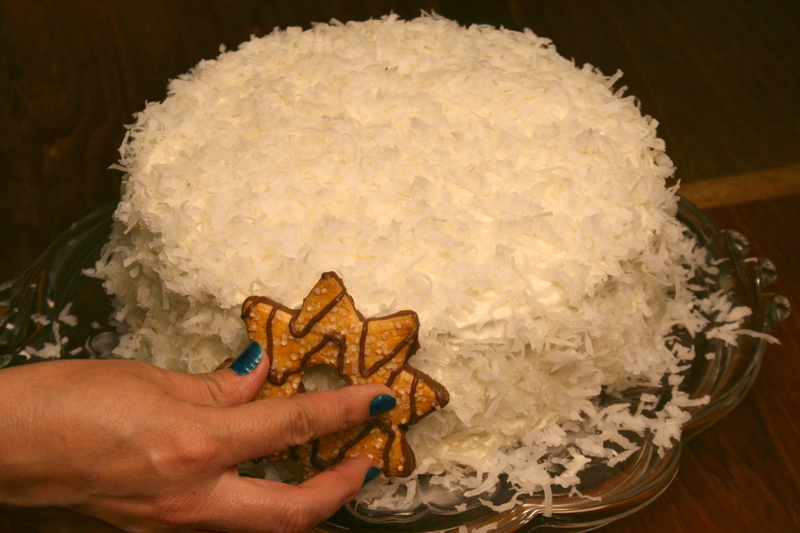 The cookies alone are pretty enough, and the coconut in the cake makes it so delicious. Thanks for sharing the recipe. What a beautiful cake! And as a novice baker, I really loved those step by step photos. What an adorable cake!! And ditto on the almonds/coconut combo. Thanks for the recipe.